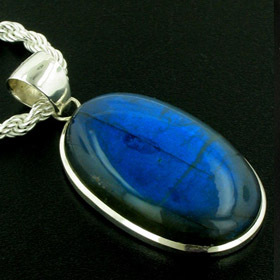 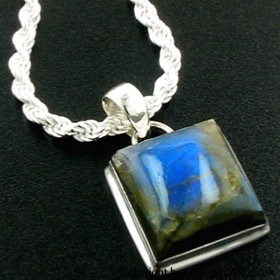 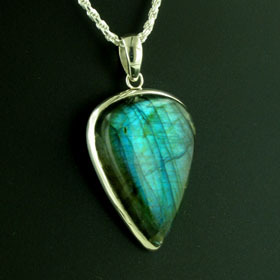 We choose our labradorite gemstones individually looking for great labradorescence. 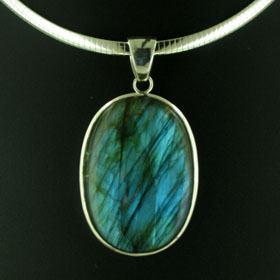 Labradorescence is the name for the beautiful colours this gemstone displays - blues, greens, turquoise, gold, amber and occasionally mauve. 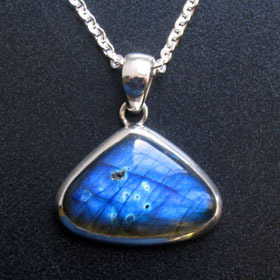 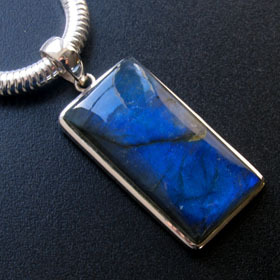 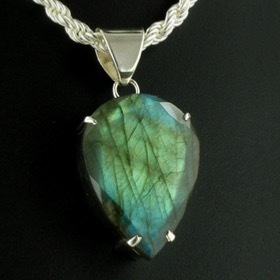 Some of our labradorite pendants feature cabochons (uncut stones) and some are faceted. 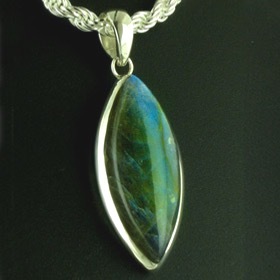 Create your own individual and unique labradorite necklace by teaming up your chosen labradorite pendant with one of our Italian silver chains. 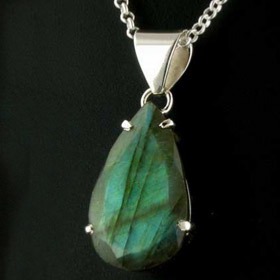 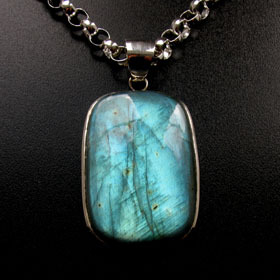 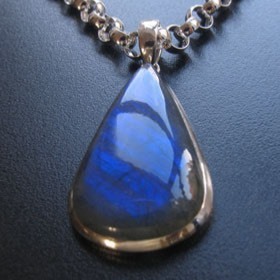 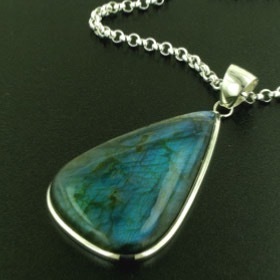 Alternatively, take a look at our labradorite necklaces collection.